Many have wondered the symbolic meaning of the woman on the beast. 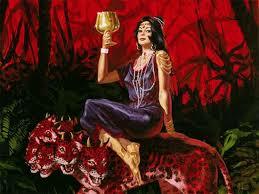 But the tradition to have a woman riding or standing on a beast comes long before the book of Revelation was written. That means God uses a symbol that already had a meaning in those days. 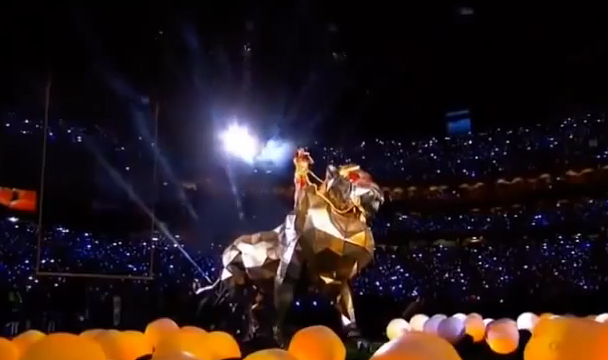 In Babylon the goddess Ishtar, like Katy Perry, was seen standing on a lion. 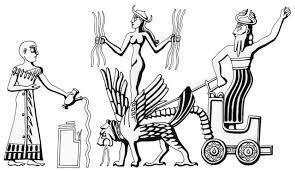 Ishtar was the goddess of sexual love but is also recognized as the goddess of warfare: “Her attribute animal as the goddess of war is the lion, on the back of which she often has one foot or fully stands. In praise of her warlike qualities, she is compared to a roaring, fearsome lion” In comparison, while standing on the lion, Katy Perry sings: “you’re gonna hear me roar Louder, louder than a lion ‘Cause I am a champion and you’re gonna hear me roar” A perfect link to the Babylonian goddess Isthar. Her being a worrior also fits with another one of Katy Perry’s song that was sung at the super bowl: “Cause I’m coming at you like a dark horse, Are you ready for, ready for A perfect storm.” She also sings: “Make me your Aphrodite”, the greek goddess who are similar to the Babylonian goddess. One can ask if perhaps the modern idol worship isn’t as different from the old one? 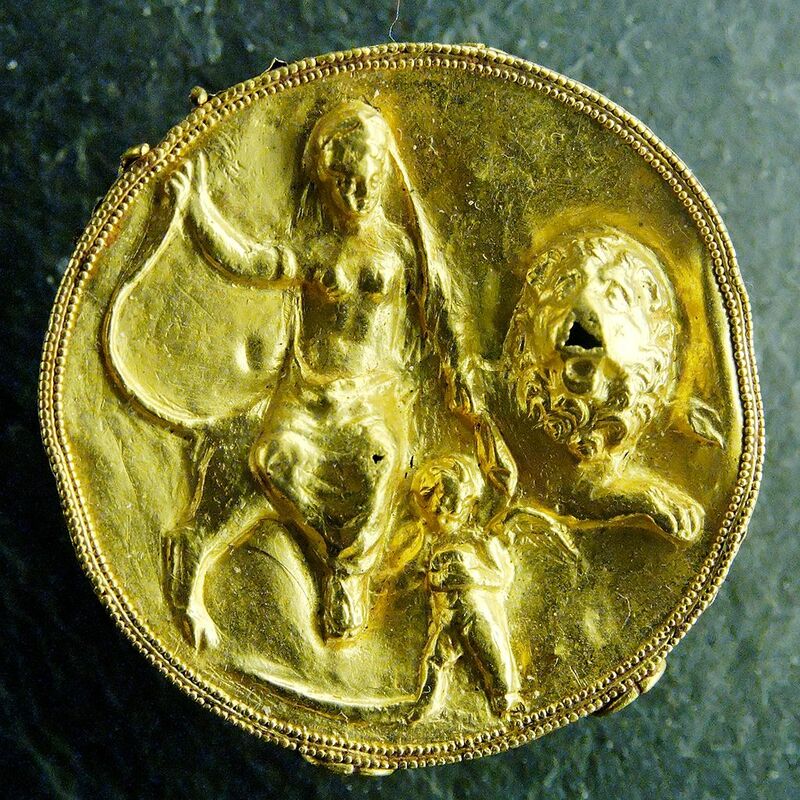 Here you can see a golden coin depicting Aphrodite riding a lion. 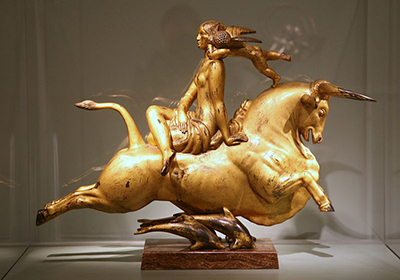 In Greek mythology it was the woman Europe, who was raped by the supreme god Zeus, who was seen riding the beast. The beast was Zeus himself. Many believe that the woman in Revelation 17 illustrate the union of religion and state. In Babylon the kings, queens and rulers claimed their authority over the people was given to them by the gods. This illustrated by them standing on various beasts having the symbol of their gods on them. Perhaps there is no accident that the news of the Pope adressing the US legislaters later this year came only 5 days after Katy Perry’s performance. Or perhaps God’s enemy is just giving the world another goddess to adore and follow. External link: Who is the whore of Babylon?